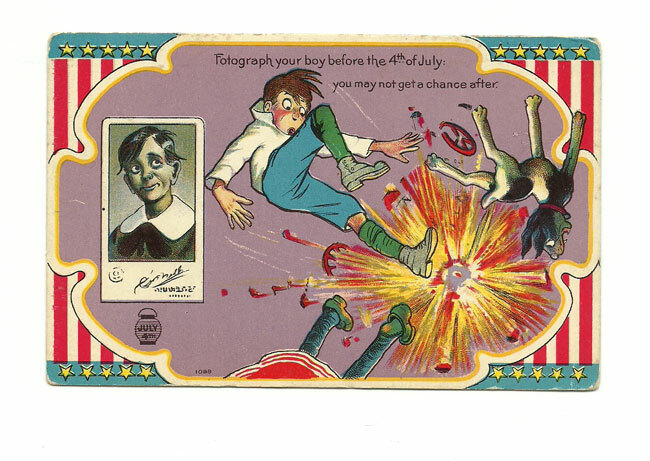 Warnings about the dangers of fireworks – especially when children are involved – abound today. Apparently, things were no different in 1908, which is when this particular card was mailed. This entry was posted in 1900's, Americana, Carol, Ephemera, Holiday, Uncategorized. Bookmark the permalink.